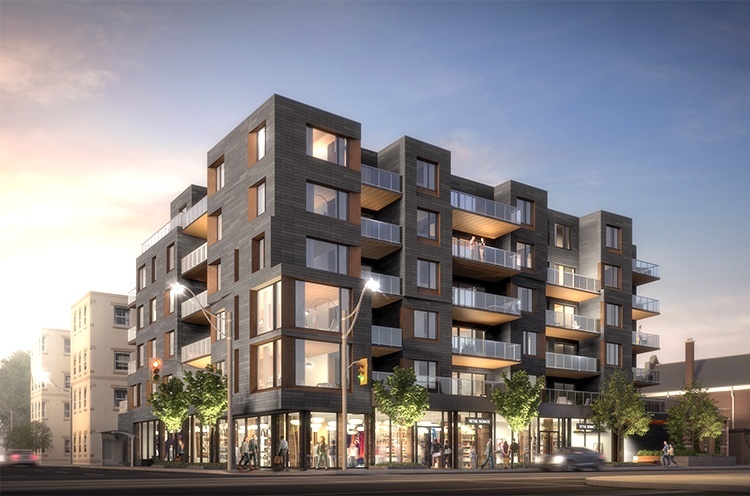 Toronto’s first six-storey mass timber wood mid-rise building with 43 units. Designed with a concrete podium, ground floor retail and two storeys of underground parking. Mass timber is an excellent carbon sink and is gaining acceptance worldwide as a method of sequestering carbon for buildings. Moses Structural Engineers developed a new prefabricated cross-laminated timber system for the superstructure to speed construction. 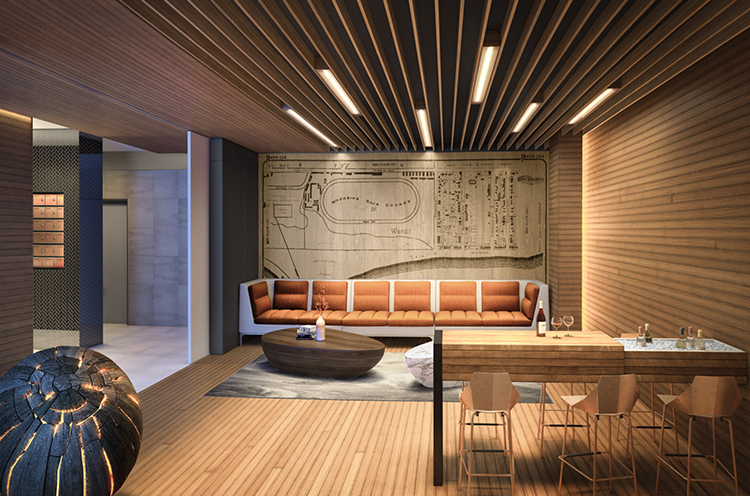 We worked closely with the acoustic and code consultants to leave portions of the cross-laminated timber walls and ceilings exposed. We also worked closely with Cunliffe & Associates who designed the multi-storey underground parking, for hydrostatic pressure and shoring/excavation procedures. Construction begins summer 2017. Images: Ben Rahn / A-Frame Inc.